Paul serves as President of Classy Llama. Over his 20+ year career, he has held multiple C-level leadership roles in banking, finance and tech. He has been a co-founder of multiple companies. His passion for growing businesses and organizations by challenging the status quo has helped him drive success throughout his career. 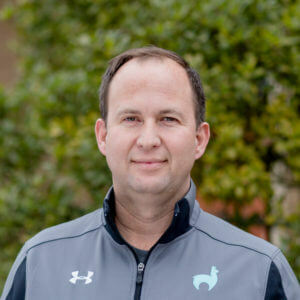 He has served as a board member to various organizations including American Indian College, Cross Trail Outfitters Missouri, and North Point Church. Paul provides his expertise and business acumen to the daily operations of Classy Llama helping drive organizational success. I love to be with family and friends, outdoors and hunting. training dogs, my church, good food, experiencing new things and adventure. Looking down on others who are different and losing great people too soon in life. My parents’ front porch, the Wichita Mountain Refuge, Platoro, CO, Black Sheep Burgers and Shakes, and big cities. My wife is named Lisa, and she is originally from Boston. I have three sons whose ages are staggered by about two years that are a blast to hang out with. Each plays a different sport. We have two dogs that are German Drahthaars.